Brave Combat Federation is set to take the Philippines by storm with a historic Brave CF 22 fight card, which includes the third defense of local hero Stephen Loman's Bantamweight title. 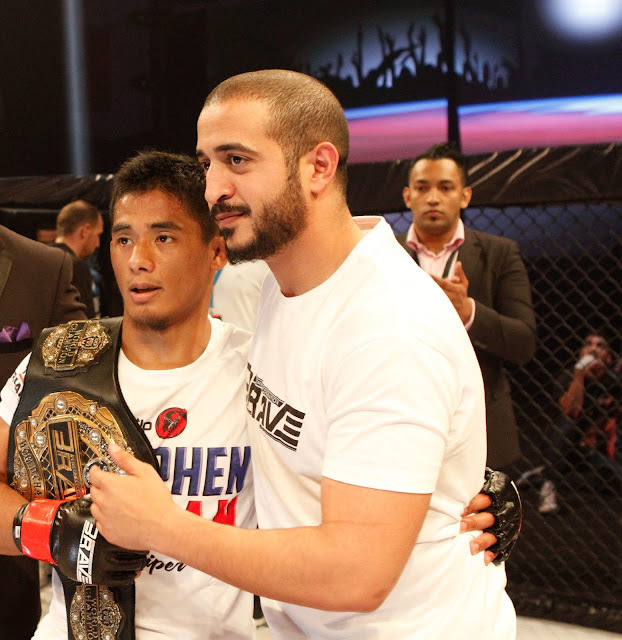 But before Brave CF 22 was made possible, the champion's performance in his last fight was one of the reasons the promotion is heading to his home country. The Filipino Ambassador for Bahrain, Mr. Alfonso Ver, was on sight to watch the activities from Brave CF 18, when Loman defended his belt against Brazil's Felipe Efrain and was left greatly impressed with the structure of the show, his countryman's performance and connection with Brave fans. During the event, with the presence of His Highness Sheikh Khalid bin Hamad Al Khalifa, Brave's visionary leader and patron, Mr. Ver put the wheels in motion for the promotion's first visit to the Philippines by publicly asking for a Brave show in his homeland. Knowing that Brave has a huge following in the country was a welcomed plus for the diplomat.